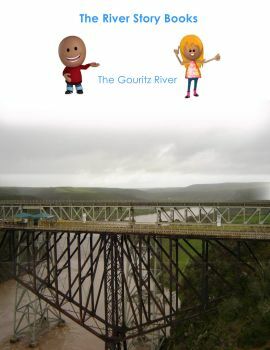 The Gouritz Water Management Area comprises the Goukou and Duiwenhoks, Gouritz and Garden Route rivers. The Gouritz River is the main river within the area. It originates in the Great Karoo and enters the Indian Ocean at Gouritzmond. Major tributaries of the Gouritz River are the Groot, Gamka and Olifants rivers. The Goukou and Duiwenhoks rivers are small rivers draining the Langeberg Mountains and flow over the coastal plains, west of Mossel Bay. The main rivers of the Garden Route, east of the Gouritz River, are the Hartenbos, Klein Brak, Groot Brak, Knysna, Bietou, Keurbooms, Groot and Bloukrans.